That is a great question! How often should you clean you carpets in Morrisville, PA? The answer depends upon a number of factors. Answer the questions listed below and you will have a good idea what is recommended for your home. 2. Do you have any smokers residing in your home? 3. Does your family include any small children? According to the Institute of Inspection, Cleaning and Restoration Inspection, the IICRC, an independent agency that trains and monitors carpet cleaning technicians in the United States, the following rule of thumb applies. 1. Indoor carpeting should be cleaned at least once per year. 2. If your family includes pets or smokers, twice yearly carpet cleaning is recommended. 3. If you have a large family of multiple pets, four times a year is recommended. Whichever recommendation applies to you, you will want an affordable carpet cleaning company in your area that can do a great job for you. 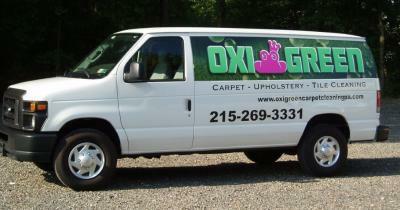 OxiGreen in Morrisville, PA is a locally owned company with 25 years of experience in carpet cleaning services. All of our technicians are certified by the IICRC. Not only that, but OxiGreen, as our name implies, is a 100% green carpet cleaning company. Using only biodegradable carpet cleaning agents, no toxic chemical residue will ever be left behind to threaten to health of your family members, especially the elderly, your children and your pets. Our 100% green cleaners combined with our modern, truck-mounted equipment will deliver a deep carpet cleaning. We will remove at least 85% of the dust mites and allergens caught in your carpeting, along with pet dander and hair that many carpet cleaners miss entirely. Call OxiGreen in Morrisville, PA today at 215-269-3331. You’ll know why the residents of your community choose us for a job well done.